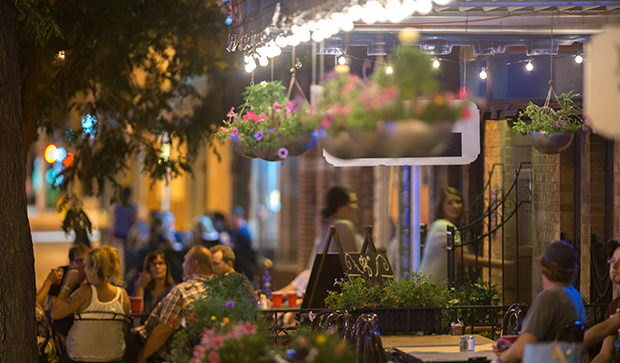 Railside is the heart of the community, where you'll find city government, passionate entrepreneurs and great festivals. Great local restaurants line Railside streets ready to serve breakfast, lunch, dinner, dessert and drinks. The courthouse is the visual anchor of Railside. It was designed by Thomas Rogers Kimball and finished in 1904. 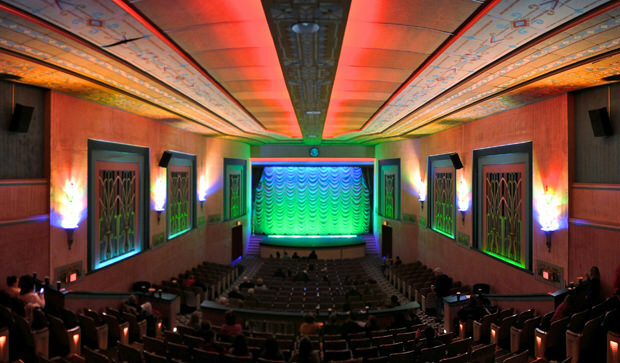 The historic Grand Theatre is the cultural anchor of Railside and recently underwent an extensive restoration. Railside is flush with antique shops. 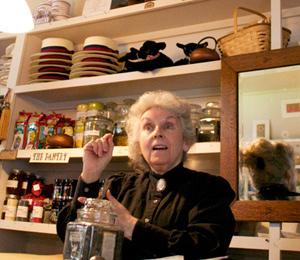 A number of boutiques and a couple art galleries are also mixed in with great local food. Railside is the heart of the city, where it all began. Grand Island grew up around the Union Pacific rails that anchor downtown. Big steam engines of yore still travel these rails occasionally, stopping for children and train buffs to photograph. The cultural and visual cornerstone of this historic district is the Grand Theatre. The facade was recently restored and is paired with an immaculately well-preserved original 1930s art deco interior. Movies are still shown here Friday, Saturday, and Sunday nights. Railside is reinventing itself. New lofts are being completed, new businesses are being created, and other businesses are moving into the district or improving on their existing facilities. 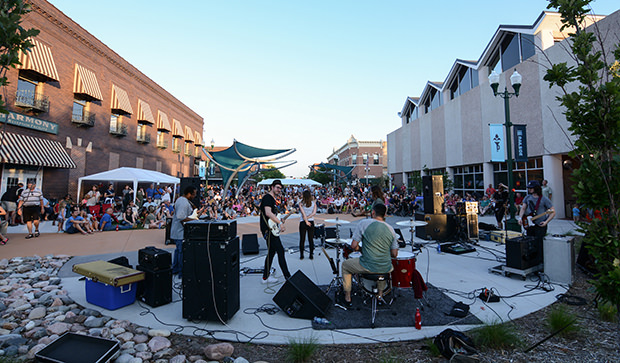 A renovated Railside Plaza is hosting regular concerts. Two micro-breweries have opened Railside locations in the past year. 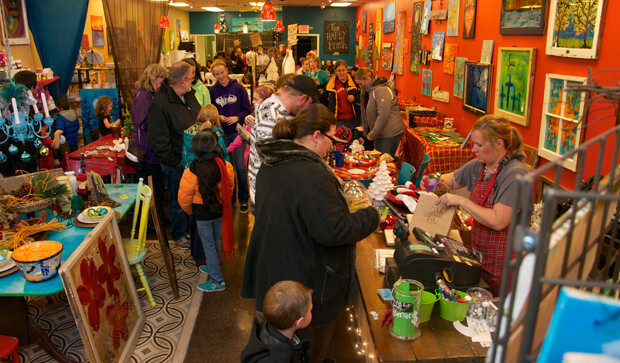 As you meander through downtown, be sure to stop in the art galleries and boutiques. Antique stores line Third Street, and locally-owned restaurants serve pizza, burgers and fantastic desserts. Enjoy the ambiance of J Alfred Prufrock’s or The Chocolate Bar with an after-dinner martini. Flavors from south of the border also pepper downtown. Colors burst from the windows of the Azteca Market and Ballroom as well as from shops selling Quincenara dresses. 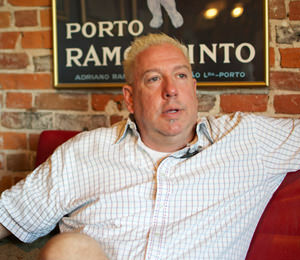 Brent Lindner's hope for his restaurants is that it brings people together, helps them slow down and "be human." 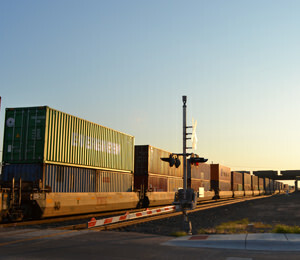 More than 160 trains roll through Grand Island on average every day; the Union Pacific line is the original transcontinental rail line. What do you suppose they stocked at the General Mercantile Emporium in 1890?